How often are we intimidated by what we believe our creative outcome should be? Hopefully we have began to address some of the blocks stemming from fear and feelings of inadequacy over the last three days, but even if we haven’t, we are ready to create today. On the fourth day the moon and the stars shone through the darkness creating light for the night sky. How often do we feel in the dark in our minds when trying to think of what we are going to make? There is light in the darkness. It may be very faint at first with only the light of a star, but as we look toward it will shine on our minds and spirits. This light is the idea however small or large, but perhaps the fact that it shines through the dark will give us resolve. We now understand that this is a natural part of creation. We know we are not the first creative with this experience. Maybe today the best we can do is create a loaf of bread or a batch of cookies, but with real purpose and awareness. 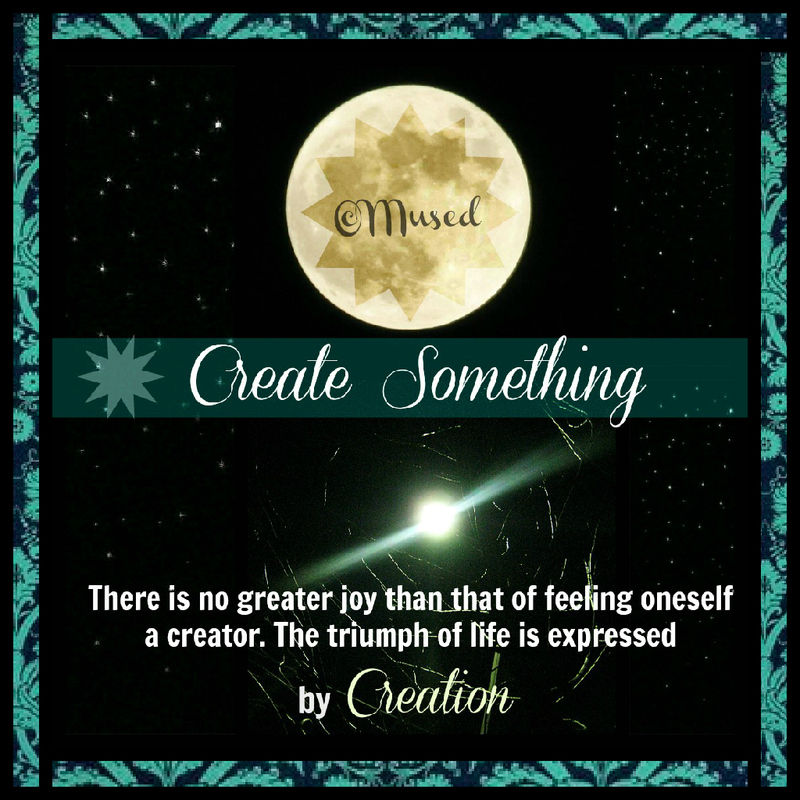 There are numerous ways to be a creator. We create continuously much of the time without a lot of consciousness to its process. Today lets be aware of the process of nurturing that light where ideas spring from and help it to grow brighter so that tomorrow perhaps it will be easier to find, to see.